As an often misdiagnosed and untreated disease, endometriosis affects 1 in 10 women across the world. It can be a painful disorder in which tissue that normally lines the inside of your uterus grows outside of your uterus. Since endometriosis most commonly involves your ovaries and fallopian tubes it can often affect fertility. In fact, some women with endometriosis do not have pain or any other symptoms besides infertility. Endometriosis causes inflammation and produces substances that can have a detrimental effect on the sperm and egg and can prevent the fertilization process. The disorder can also distort a woman’s pelvic anatomy. The inflammation can cause scarring and adhesions, which can cause the fallopian tubes to become blocked or can interfere with the ability of the fallopian tubes to pick eggs up from the ovaries. Endometriosis in the ovaries, and even surgery to remove it, can reduce the number of eggs remaining in the ovaries as a result of damage to normal ovarian tissue. Even though endometriosis can cause obstacles on your journey to conceiving, there are numerous ways to treat the disorder and alleviate the symptoms, which can help your chances of getting pregnant. Some women with endometriosis can be treated with minimally invasive surgery, like laparoscopy, where the endometriosis is removed or cauterized. In some cases, deep-excision surgery may be necessary to remove abnormal tissue. The goal is to restore the pelvic organs as best as possible to their normal state in order to alleviate pain and improve fertility. Although surgery alone may improve fertility, in some cases it must be combined with in vitro fertilization or intrauterine insemination to improve your chances of conceiving. Celebrities and prominent women have been vocal about their struggles with endometriosis in order to raise awareness about it. Padma Lakshmi co-founded Endometriosis Foundation of America and actress Lena Dunham has documented her journey including her decision to have a hysterectomy at 31-years old. Endometriosis can take an enormous toll on woman’s physical and emotional health, but there are treatment options and hope for women who want to conceive. 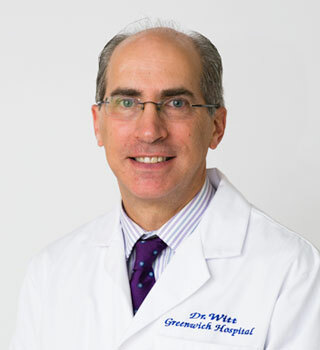 Schedule a consultation with a Greenwich Fertility expert today.